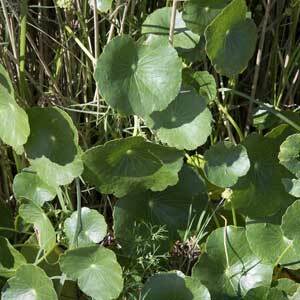 Weed control plays a vital role in the overall care of your property. Don’t let sedge, crabgrass, dollar weed and other unwanted plants destroy your yard. Farrow’s technicians use multiple pre-emergent weed control applications to eradicate the weeds you have as well as prevent new weeds from popping up as the season continues. Our gorgeous southern weather means pests can be a year-round problem. Not on our watch. Farrow Pest Services uses state-of-the-art equipment and extermination techniques to stop insects dead in their tracks (literally). Chinch bugs, sod webworms, mole crickets, grubs, billbugs and most importantly fire ants – Farrow’s technicians can make pests a thing of the past on your Florida property. 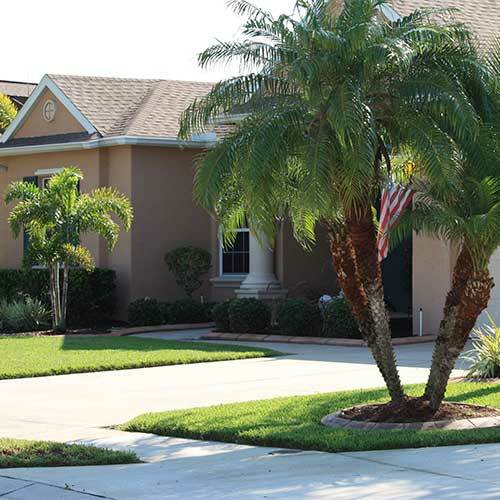 Your palms and shrubs are a vital asset to any home or business property. Thriving landscapes will boost curb appeal, improve air quality, and offer invaluable shade to both humans and animals throughout the hottest seasonal months. Unfortunately, many property owners wait until they notice a problem with their large plantings before seeking professional care – and by then, it’s often too late. If you’re looking for proactive, professional tree and shrub care, Farrow can help. We offer a full-scale, year-round tree and shrub program that fortifies large plantings from the root to tip for robust, healthy, and vibrant landscapes all year long. 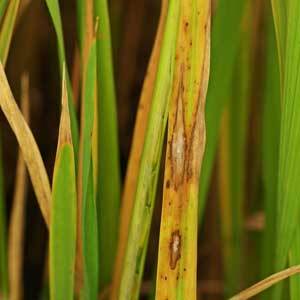 Disease and fungus can wreak havoc on your yard and gardens with long-term, devastating results. Farrow Pest Services’ experienced team can quickly identify what’s attacking your grass and landscapes to develop a customized approach that gets your property back on track to health and wellness. Our gorgeous southern weather means pests can be a year-round problem. Not on our watch. Farrow Pest Services uses state-of-the-art equipment and extermination techniques to stop insects dead in their tracks (literally). 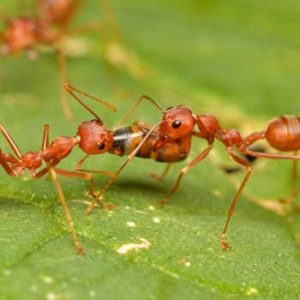 Chinch bugs, sod webworms, mole crickets, grubs, billbugs and, most importantly, fire ants – Farrow’s technicians can make pests a thing of the past on your Florida property. Your trees and shrubs are a vital asset to any home or business property. Thriving ornamental landscapes boost curb appeal, improve air quality, and offer invaluable shade to both humans and animals throughout the hottest seasonal months. Unfortunately, many property owners wait until they notice a problem with their large plantings before seeking professional care – and by then, it’s often too late. If you’re looking for proactive, professional tree and shrub care, Farrow can help. We offer a full-scale, year-round tree and shrub program that fortifies large plantings from the root to tip for robust, healthy, and vibrant landscapes all year long. Farrow’s 8-Step Lawn Care Program offers year-round fertilization and care to revitalize your property, promote impressive new growth, and ensure your yard and gardens thrive! New year, new lawn! Farrow Pest Services arrives ready to treat your grass and plantings with pre-emergent and weed control as well as iron and potash to jumpstart a new lawn growth cycle. Now’s also the perfect time to spot treat weeds as needed. Our second treatment of the season includes iron, slow-release liquid nitrogen, and potash. The Farrow team will also apply weed and sedge control. Our specialists apply slow-release granular fertilizer that nourishes your plants and fights pests. The Farrow team will also evaluate your property to spot treat weeds. Farrow’s fourth seasonal treatment includes iron, insect control, and spot treat weeds. Summer is here – and so is Farrow! We’ll apply another round of iron, insect control, potash, and spot treat weeds. We’ll keep battling the bugs and apply a pre-emergent to help prevent weeds that run rampant throughout our hottest months while promoting soil health and root strength. Our specialists apply slow-release granular fertilizer and (you guessed it) spot treat weeds. The final lawn care treatment includes iron and potash, as well as weed and sedge control.